I have recently received this scenario book, the sixth in the Panzer Korps series. This scenario book is very well done and laid out in an easy to follow format. The scenarios have obviously been extensively researched and thoroughly thought out. 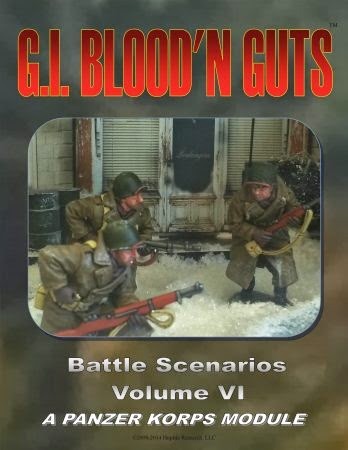 This module contains scenarios for the U.S. forces during WWII as the title implies. As you can tell by the rules title this is not a skirmish set of rules, nor is it a company or battalion level game set. 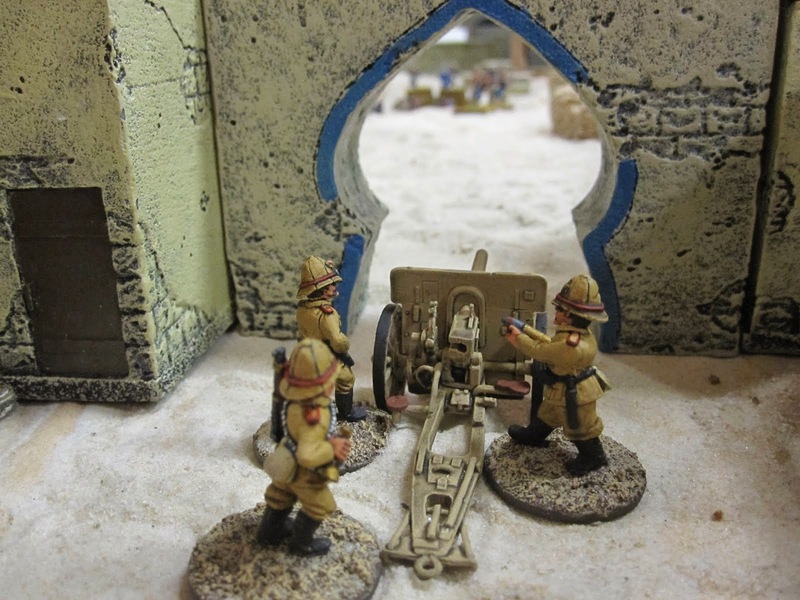 These rules are used for large operational games with divisions and corps maneuvering around the table top. In my humble opinion the rules are very playable, very fun, fast moving, and successfully give the feel of commanding an army during WWII. The scenario books can be easily adapted for other rules sets as well. Pacific: Henderson Field 1942, & Peleliue 1944. North Africa: Sidi Bou Zid 1943 & Kasserine Pass 1943. France: The Atlantic Wall 1944, Battle for Vire 1944, & Battle of Bayon 1944. A desperate Gamble the Ardennes west of Bastogne 1944. The scenarios are set up with several sections, though the lay out for each scenario is not identical, each scenario will have ALL the pertinent info needed to play and enjoy each game. Each scenario starts off with the historical description of the actual battle with a brief synopsis of what happened, why, and which forces were involved. The next section is usually the “Map Notes”. Here you will find specific rules and modifiers for the local weather at the time of the battle and how it affects movement, visibility, cover mods, etc. 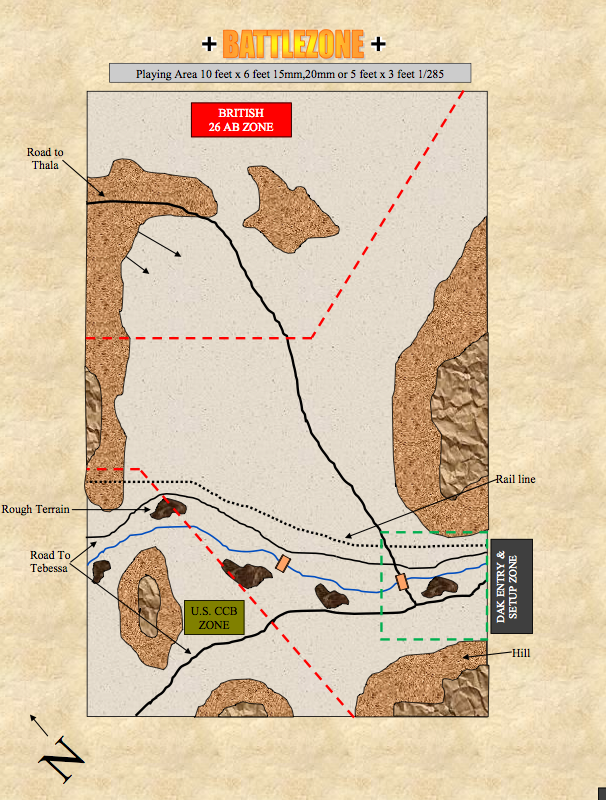 This section will also contain troop set up, troop entrance locations, and the time of day the battle commences. Following this is the “Victory Conditions” section with a very clear cut explanation of the results required for one side or the other to be declared the winner of each battle. The remaining sections don’t always follow the same order but are still very well done, extremely descriptive and historically accurate. The Maps themselves are great, very detailed, historically accurate from what I’ve found, and rather easy to replicate on the table top due to their simple layout in design. Here is where I have my ONLY criticism of this book, I’d love to see the maps in color! The legend and the graphics are well done enough to differentiate terrain items but it would be a huge step up to have them in color, just my personal preference. That being said, you can’t have a historically accurate game with out wonderful maps such as these. *Here is an example map from the book but taken off the internet in color. The meat and potatoes of each scenario is of course the OOB’s. These show the level of detail and the huge amount of research that has gone into making these scenario books, and all of the Panzer Korps scenario books, the great value that they are. Each scenario has amazingly detailed OOB’s for the forces involved which includes amongst other items, attached support elements, command structures, FO’s, off board artillery, and the special factor in the Panzer Korps rules set, the decorated leaders included in each force. Each sides OOB will contain all the units involved in the noted battles, special notes for each force which may contain air assets, communication notes, reinforcements schedules, option items, notes on why certain units were included or excluded, etc. etc. This is another great bonus of the book and once again shows the huge amount of research that went into this title. In closing I can honesty say that I highly recommend this Panzer Korps scenario book and I look forward to getting all of their scenario books and playing all of the battles, one day. Here is the Panzer Koprs website, TMP link, and there is also a very active Yahoo group that supports this rules set.